Joshua Tree bed and breakfast travel guide for romantic, historic and adventure b&b's. 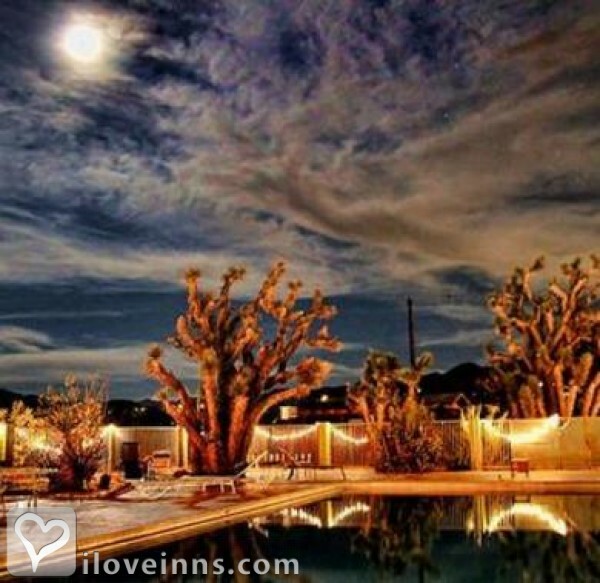 Browse through the iLoveInns.com database of Joshua Tree, California bed and breakfasts and country inns to find detailed listings that include room rates, special deals and area activities. You can click on the 'check rates and availability' button to contact the innkeeper. Joshua Tree is a small community that is located at the Mojave Desert in California. The community got its name from the tree that is commonly found in the desert. Joshua Tree bed and breakfast inns are always open to serve tourists and travelers who are either visiting the place or are just passing by on their way to other major destinations in the state of California. Joshua Tree bed and breakfast inns are known to provide guests with the great service, making themselves virtual oasis in the desert. Joshua Tree has several interesting sites that tourists may love. These include Lost Horse Mine and Carey's Castle. Of course, there is also the Joshua Tree National Park, where interesting rock formations are quite popular among campers, adventurers, and rock climbers all over the country. Tourists who yearn for great-tasting dinner after a trip to the Joshua Tree National Park can try the community's fine restaurants. By Spin and Margies Desert Hide-A-Way.